Peacefully at the Provincial Palliative Care Centre on Tuesday, January 8, 2019 of Hope Praught (nee Rose) of Parkdale, age 75 years. Beloved mother of Bernadette Praught and Gloria (Doug) Cranford and lovingly remembered by grandchildren Jodi (Alex) Dow, Noah Frizzell, and Grace, Zachary and Alyssa Cranford. She is also survived by her sister and brother, Imelda Callaghan and Jon (Alyce) Cavanaugh. She was predeceased by her parents Grace McInnis (nee Callaghan) and Tommy Rose, and her partner Ralph "Red" Barrett. Resting at the Hennessey Cutcliffe Charlottetown Funeral Home until Monday morning, January 14th then transferred to St. Pius X Church for Funeral Mass at 10 a.m. Interment later in St. Patrick’s Parish Cemetery, Fort Augustus. Visiting hours on Sunday from 3 - 5 p.m. Members of the St. Pius X Catholic Women's League will hold a prayer service at the funeral home on Sunday at 2:30 p.m. 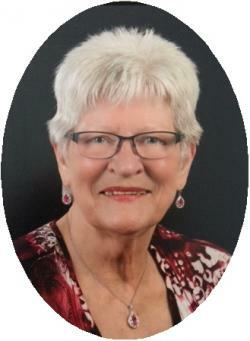 If so desired, memorial contributions may be made to the Provincial Palliative Care Centre or Hospice PEI.